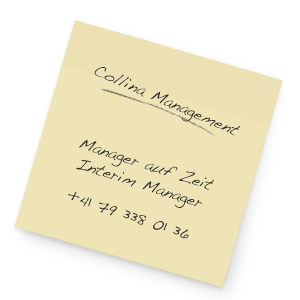 Collina Management AG is more than just a business, it’s a flexible interim partner for your company. Our vision is to build transparent, fair and sustainable partnerships characterised by reliability and expertise. 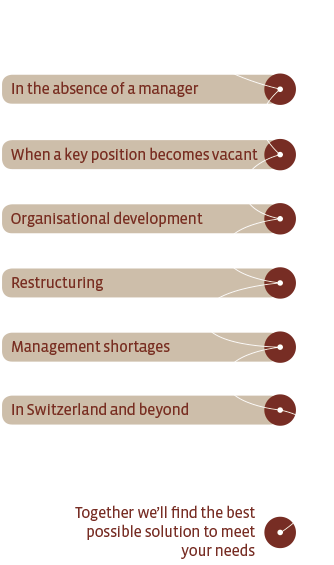 As an interim manager, we share your company’s challenges and help you pave the way forward, take on immediate operative responsibility and manage your customer-specific tasks in a targeted and sustainable way, in Switzerland and beyond. We offer short-term professional expertise, because some challenges are simply too big to manage on your own. We’ll find a solution – simply give us a call. Collina Management AG transforms huge mountains into conquerable hills.